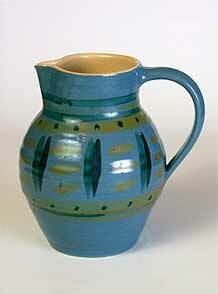 Blue Compton Jug - 5¾" (146 mm) high. We have been told that some of the potters from the Compton Potters' Arts Guild carried on after the closure of the pottery. We don't know if it is true - do you?